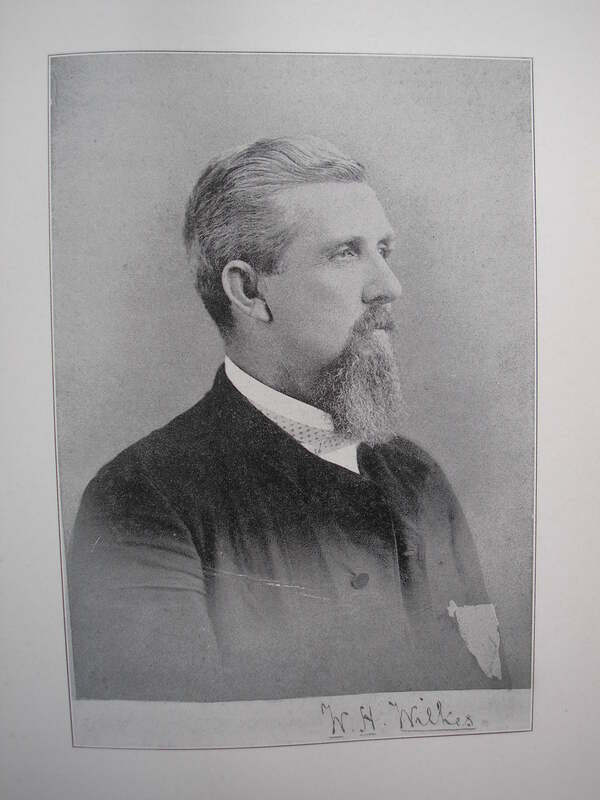 William Wilkes was born April 8, 1833 in Raymond, Mississippi but grew up in Giles County, Tennessee. He got his medical degree from the University of Nashville Med. School, graduating from there in 1855. In the Civil War, he rose to Colonel in Tennessee’s 53rd infantry until he resigned in 1863 due to tuberculosis. 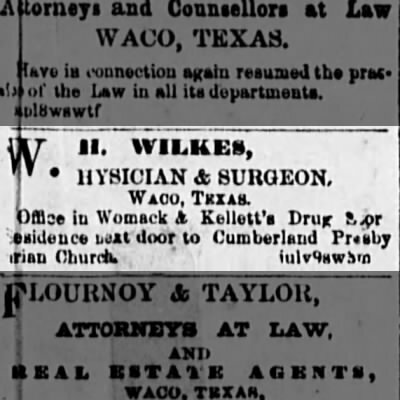 Wilkes moved to Waco in 1868. “If I may assume the honor of representing JH Gurley Lodge, in the name of that Lodge for this compliment I thank you. In doing so, allow me to say that while we, as the Lodge, may not don these snowy plumes or buckle on these glittering blades of steel; while we claim not to do battle for the truth of Christianity, we are nevertheless your co-workers in the cause of virtue, morality, and truth. As your chivalric ancestors went forth steel-clad to gain possession of the sacred tomb of the Savior, you are expected with the sword of Truth to battle for the great Divinity of Christ; not against the infidel Saracen of old, but against that modern infidelity has marshaled. We may not go so far, but we battle with you for truth and right. And Gurley Lodge, young as she is, is an ally not to be despised; in less than three years her thirteen members which all came from Waco Lodge 92 have now increased to a membership of eighty! He died of malaria while mayor in 1896.